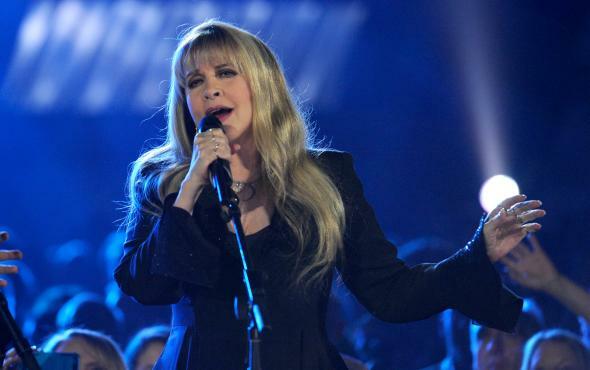 Singer Stevie Nicks, the multi-platinum, Grammy® Award Winning-music icon today announced The 24 Karat Gold Tour. Produced exclusively by Live Nation, the 27-city tour with Pretenders, will begin on Tuesday, October 25 in Phoenix, Arizona, and will see the legendary Nicks perform throughout North America this Fall -- with shows scheduled in New York City, Los Angeles, Toronto, Vancouver, Chicago, Philadelphia, Atlanta and more. In conjunction with the new tour, BubbleUp debuted the brand new StevieNicksOfficial.com.